书籍简介: An authoritative, state-of-the-art overview of entrepreneurship ranging from dictionary definitions of key terms to longer entries of up to 2500 words explaining the more advanced issues and debates. Entries in the volume, by leading experts in the field, will be cross-referenced throughout, both to other entries within the volume, and across the complete BEOM volume set. The Encyclopedic Dictionary of Entrepreneurship volume will be available online through EBSCO and linked online to a wider library of book and journal content. 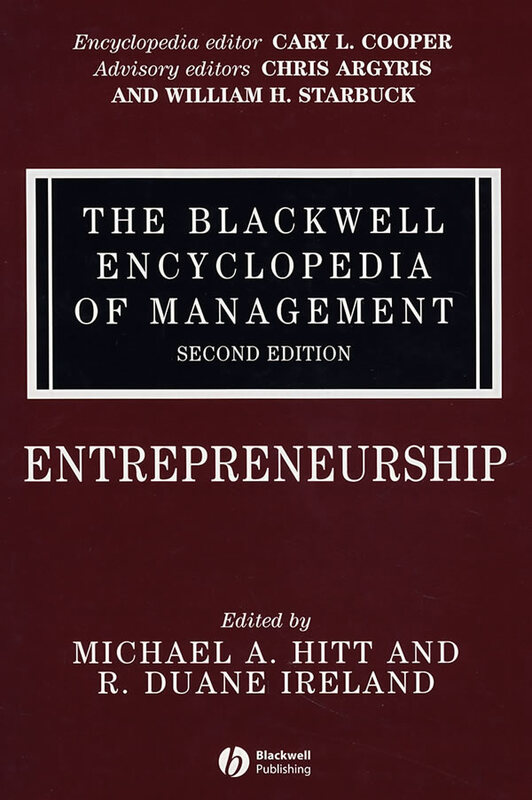 This is an indispensable reference source for business libraries.This new volume in the Blackwell Encyclopedia of Management volume set: the Blackwell Encyclopedia of Entrepreneurship, especially commissioned for the second edition from editors Michael A Hitt and R Duane Ireland, charts the key concepts and frameworks in the growing field of Entrepreneurship. The volume covers: 'creative destruction ' competitive dynamics; real options; social capital; corporate entrepreneuship; risk management; franchising; succession planning; location effects; spinoffs; and product innovation.